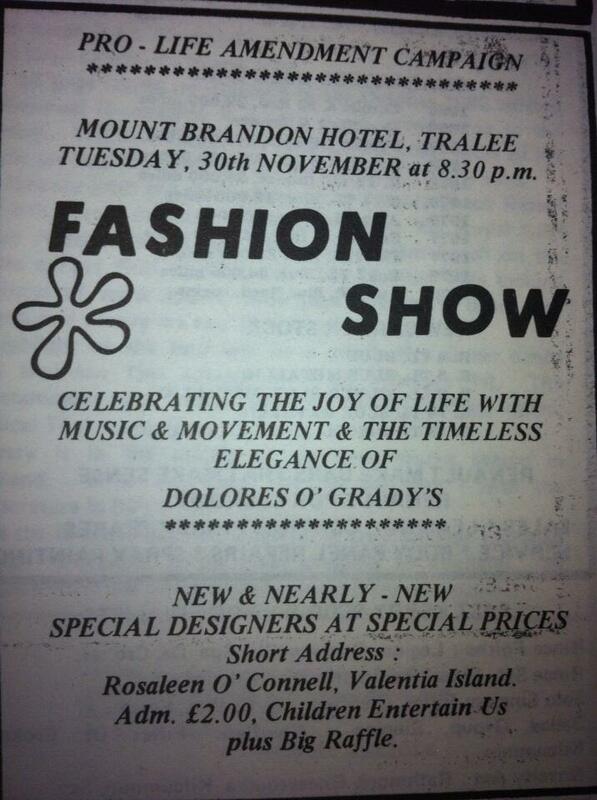 From November 1982 an ad for a Pro Life Amendment Campaign Fashion Show in Tralee. The Fashion show was held six days after the November 1982 General Election and would have been part of The Pro life Amendment Campaigns efforts to have a Referendum on Abortion. The pressure from the campaign led to an Abortion Referendum less than a year later. The Rosaleen O’Connell of Valentia island is mostlikely the wife of Kerry football legend Mick O’Connell, who was himself a former Councillor.